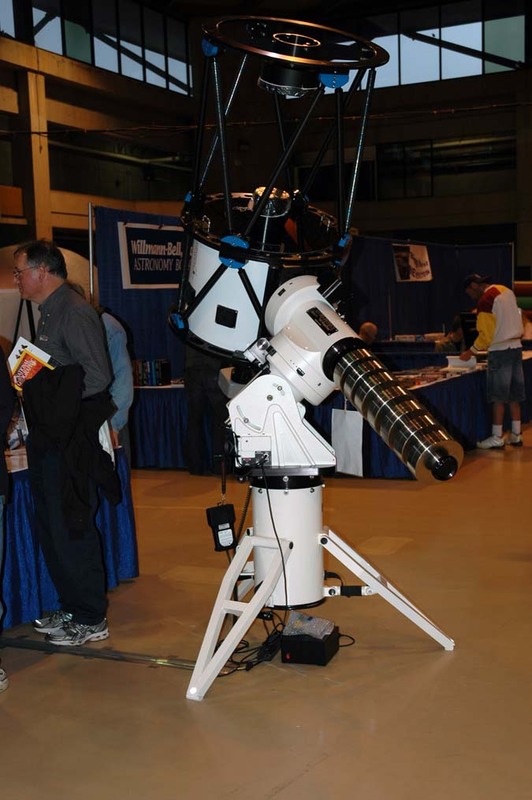 Welcome to Part 2 of Share Astronomy's continuing coverage of NEAF 2011. Please remember that you can click on any image and see a larger version. Our first image shows a 14" Celestron EdgeHD SCT mounted on a Celestron CGEPro mount. 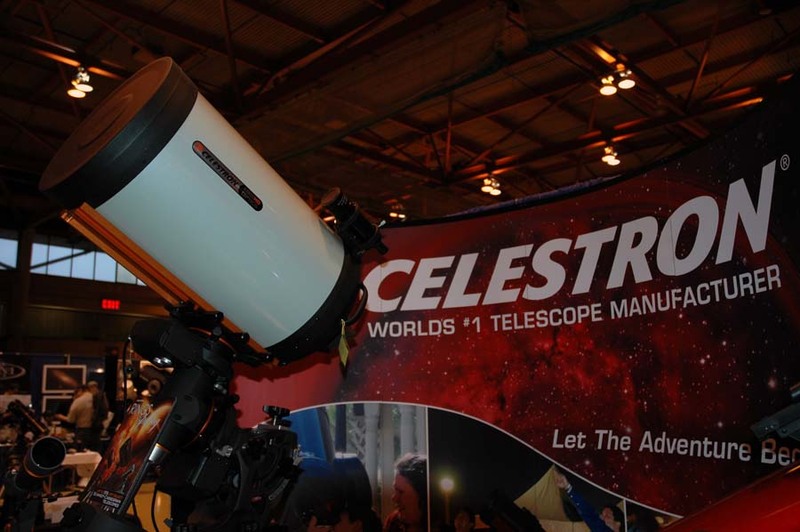 The image below shows a Planewave 24" CDK mounted on an Astro-Physics 3600 GTO GEM also known as "El Capitan" at the Astro-Physics booth. Hello from NEAF 2011. It's a grey, grim, rainy day outside in Suffern, New York but that's OK. Everyone is having a great time indoors. With approximately 140 astronomy vendors in one location who wouldn't have a good time? This is my first post from NEAF 2011 and like last year, I will be focusing on pictures (no pun intended). Please click on any picture below to see a larger version. 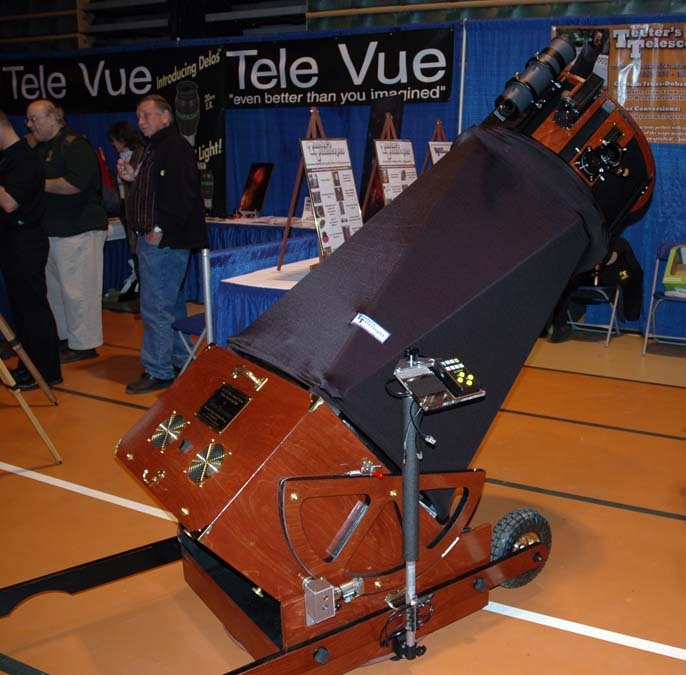 Our first booth stop this year was the Teeter's Telescope booth. This is a 20" f/3.5 scope complete with ServoCat. 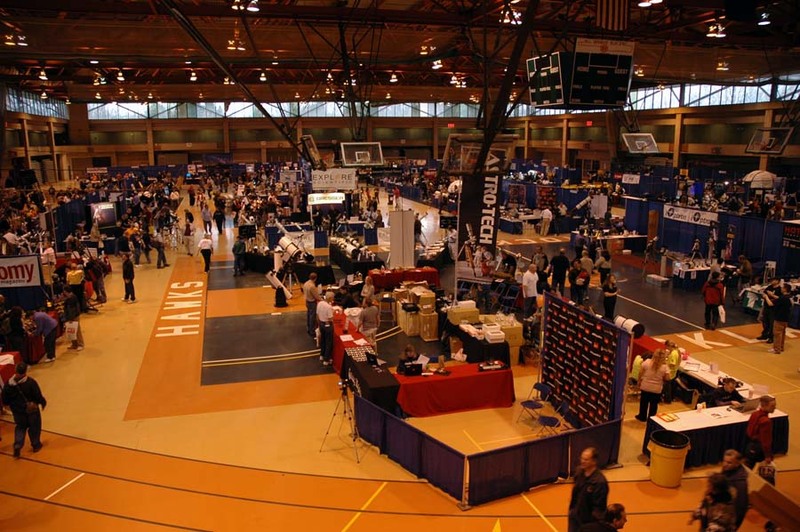 Are you located near Rockland Community College in Suffern, NY (the venue for NEAF) or are you traveling a long ways to attend? I drive, but it's a 3 hour trip one way over mountain roads, plus a stop for breakfast and supper. I amuse myself by cataloging the observed road-kill (2 foxes, 1 bear, 2 skunks, 5 deer, 10 woodchucks, etc). This year I plan on staying over Saturday night to make a two-day event of it. I've done that twice in the past, and it's the best way to do NEAF. Do you think there are as many women astronomers as there are men? Did anyone out there in blog-reading-land answer yes? I doubt it. At least in the United States and Great Britain it's no secret that there are more men than women employed in science, technology, engineering and math-related (STEM) fields. Why? Well, that's a good question and many explanations have been advanced. My recent blog posts have focused on citizen scientists and the opportunities available to citizen science wannabees. While I love this topic, it seems like a good time to return to another favorite subject – astro imaging. I am very pleased and excited to share with you an email interview I just did with Neil Fleming. Neil Fleming (image at left) is a wonderful astrophotographer as well as a very nice person. Neil has presented at the Midwest Astro Imaging Conference (MWAIC), the Advanced Imaging Conference (AIC) and the NorthEast Astro Imaging Conference (NEAIC). His images have been shown in Sky and Telescope and Astronomy magazines and on the Astronomy Picture of the Day (APOD) web site. Neil's web site is Fleming Astrophotography. 1. You currently specialize in narrowband imaging. What advantages does narrowband imaging have for a person living near a large light polluted city like yourself (Boston)? I like to draw attention to quality web sites and today I have three that I'd like to share. The first is a site from NASA that provides an interactive 3D tour of the Webb Space Telescope. The site is organized into three sections: optics, instruments and systems. Each section is divided into subsections. As you click on a particular component of the telescope a graphic representation shows you where the item is located and a text box displays an in-depth description. One of the graphics I like best shows the primary mirror size in comparison to the Hubble primary mirror and a human being. This site is very well done and you could easily spend a lot of time learning about the various components of the Webb Space Telescope. Links at the bottom of the page take you to additional excellent NASA Webb Space Telescope web sites. The second site on my list is also from NASA. It's a web site designed specifically for children. It is called Space Place. The site has "games, animations, projects, and fun facts about Earth, space and technology". Any child – and a lot of adults – would have a great time on this site. There is an electronic coloring book that uses "crayons" controlled with the mouse or you can print individual pictures that can be colored the old fashioned way with real crayons. There are more than 30 different games and about 10 animations and a long list of amazing facts. There is even a Teacher's corner with classroom activity suggestions and a poster download section. If you have children or work with children you should definitely check out this web site. My third recommendation is a relatively new site called Astrobites. Astrobites was created by graduate students for undergraduates. This is a great web site if you are interested in astronomy and astrophysics. The primary goal of Astrobites is to present one paper per day from astro-ph which is the astrophysics section of arXiv.org (an e-print service where researchers post their current work). However, other posts have fallen into the career navigation, personal experiences or quick notes categories. I really like this web site a lot. The participating graduate students are all very good writers and very adept at summarizing and explaining complex topics. Be sure to check out this site! 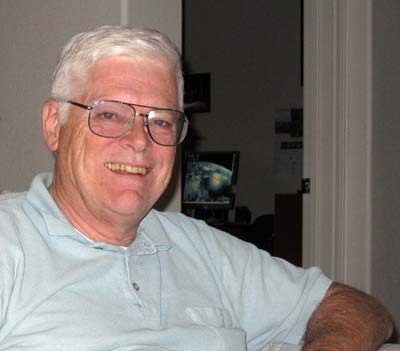 Last week I wrote about Tom Krajci and how he is supporting the work of the American Association of Variable Star Observers (AAVSO) and other organizations by hosting a telescope farm on his property near Cloudcroft, New Mexico. The subject of this blog post is Jim Fox who lives near the town of Mayhill, New Mexico (only a few miles from Tom Krajci). Jim also supports the work of the AAVSO but in an entirely different way. 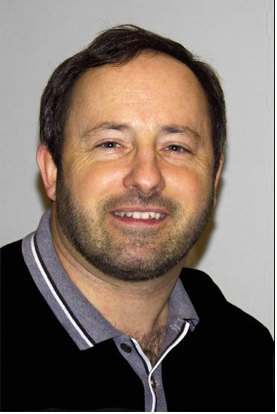 Jim is a variable star observer and the Committee Chair of the AAVSO Photoelectric Photometry (PEP) Observing Program.